PortalProdigy provides everything you need to track time and bill clients. The process begins with a service request; a work order is created to specify the scope of work, cost, and terms; the client approves the work order; billable time is entered by task (service type); billable time can be adjusted if necessary; client is invoiced for work or work is billed against retainer. Flexible options accommodate a variety of billing methods. Includes ability to setup self service request entry allowing customers to enter service requests online, approve Work Orders, and make credit card payments. Track both billable and non-billable time. Define standard rates for services. Includes ability to override the standard rates. Option to charge flat rate for time or to charge specified rate for each type of service (task type). Option to charge for services on fixed fee basis. Work Orders can contain a combination of both fixed fees and billable time. Supports automated application of special customer pricing using PortalProdigy’s Price Group Pricing feature. Ability to define blanket contracts for clients that define contracted pricing for specific services. Fully integrates with PortalProdigy’s Maintenance and Service Contracts feature. Ability to include products on Work Orders. Fully integrates with PortalProdigy’s Inventory Management. Option to bill against retainer, perform progress billing, or bill upon completion. Option to set billable limit (approved amount) for a Work Order with option to automatically generate approval requests for additional amounts. Time entry warns when a Work Order’s approved limit has been reached. Ability to create billing schedule for projects and automatically generate invoices on scheduled billing dates. Multiple staff members can perform work and bill against the same Work Order. Create and manage an unlimited number of service requests and projects. 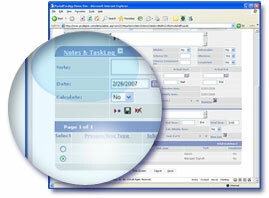 Integrates with Work Orders to define the scope of work, cost, and terms including not to exceed amount. Auto retrieval of customer information including billing address, shipping address, and credit terms. Retrieved values can be changed. Specify payment terms and enter payments directly from Work Order Management. See Payment and Authorization feature for detailed description. Generate Work Orders automatically or manually and manage the approval process. Self service request entry allows customers to request services online with option to automatically generate Work Order and get customer approval online. User defined Work Order and approval instructions. Automated time tracking using Start and Stop feature. Supported by Task/Time Management as well as by Help Desk Operator entry. Supports manual entry of time. Billing adjustment screen makes it easy for permitted staff to adjust billable time. Compare actual time with billable time. Automated creation of GL Journal entries; entries are made in GAP format. Option to generate electronic Invoices and automatically email to clients. Option to generate electronic Statements and automatically email to clients. Fully Integrates with PortalProdigy’s Transaction Management system. Time Billing Invoices are generated in PortalProdigy’s standard transaction format allowing them to be viewed and edited using PortalProdigy’s universal Order Management screen and to have payments applied using PortalProdigy’s universal Payment Entry screen. Generates automated customer and staff email notifications. Fully integrates with PortalProdigy’s Email Broadcaster. Print summary and detail reports.